Our education initiative centres around making children of primary school age conscious of how ‘giving to help others’ (giving blood, giving platelets, giving stem cells / bone marrow and ultimately organs) can help save a life. It’s an ambitious long term plan which we have begun and which is likely to be a ‘work in progress’ for some considerable time to come. As part of this initiative, we are delighted to announce an exciting new partnership today, at KidZania London. KidZania is the UK’s first educational entertainment experience where children aged four to fourteen can use real-life role play to learn life skills in a child-size City, built just for children. 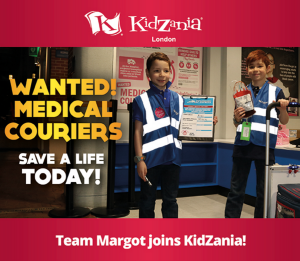 Together, with KidZania we have set up a dedicated activity within the City which educates children through real life role play on the importance of how giving to help others can save a life: the Team Margot Medical Courier Service. Blending learning and reality, children are set a task to deliver everything from a blood bag (donated by the NHS) to platelets and organs to learn how speedy delivery can have lifesaving outcomes. Through the activity at KidZania London, it’s not only children who are learning, their parents are too – each child receives a Team Margot wristband upon completing the activity, which they take home and show their family, in the real world. I feel immensely proud that early this morning Margot’s brothers, Oscar & Rufus appeared with me on Sky News to announce this partnership. Thank you to everyone at KidZania for everything you’re doing to make this a success and for all your fantastic support ! And thank you Clare Mason, for your guest blog post below. 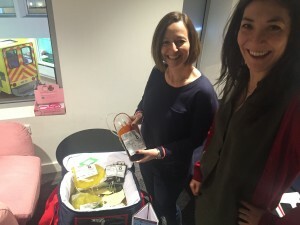 We are delighted to welcome Team Margot and the new Medical Courier service to KidZania London! For those of you that don’t know www.kidzania.co.uk is a brand new experience for kids aged 4-14 where real life blends with entertainment and role play. It’s a city for kids with its own economy (the KidZo.) Kids can either earn money or spend it and they do this by doing a range of jobs from Firefighter to Dentist to DJ. It’s about kids choosing what they want to do and having a go. Who knows, it might give them an idea of what they’d like to be in the future – we can’t all be footballers and popstars (Although these jobs are available too!). Team Margot came to KidZania way back on October 7 last year. 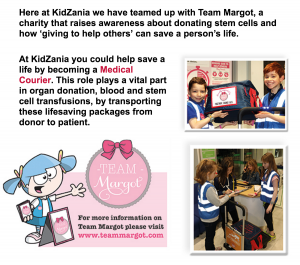 They took over the city to let children from Great Ormond Street Hospital and other friends of Team Margot come and enjoy KidZania and celebrate the inaugural annual International Team Margot Stem Cell and Bone Marrow Awareness Day. We were all blown away by Team Margot, by Yaser, Nadia and Vicki their strength and their story and were thrilled to be part of their event at establishing a day dedicated to Stem Cell and Bone Marrow Awareness. 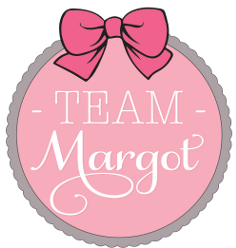 The team here at KidZania really got behind it and made it a special day for the children and guests of Team Margot. There is a lot of synergy between Team Margot and KidZania. Both organisations have children at their centre. 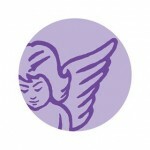 Both organisations are about raising awareness in different ways. The educational objective of KidZania is “Children can only aspire to what they know exists”. So sitting down together and thinking about what else we could together seemed like a good idea. Even though children can’t legally give blood until they are 17 there is a great opportunity to educate and raise awareness amongst the donors of tomorrow. 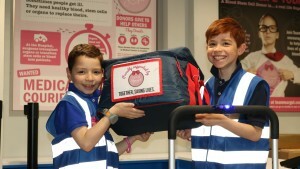 The courier service is one of the most popular activities in KidZania – across the globe kids love it. 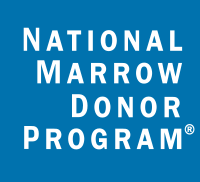 And they play a crucial link in the world of blood and stem cell donation. Getting the donated blood, platelets and stem cells safely and securely from the point of collection to the point of transfusion. 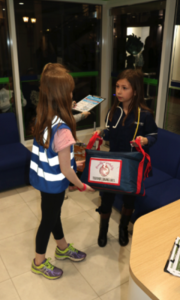 In KidZania, blood bags and platelet bags get delivered to the hospital, or picked up them up from where they’ve been harvested from the hospital and brought back to the courier service to send onto another hospital that needs it. With the Martinis’ links to the NHS Blood and Transplant and Great Ormond Street Hospital they were able to provide us with some fantastically real props for the activity. These are actually used to demonstrate to the public how blood is given, what platelets look like (yellow and watery!) how much blood is taken and so on. It’s great to see kid’s eyes widen when they see these props. It’s great to hear them squeal in disgust or delight when they squeeze the blood bags. But it’s also important to normalise kids to the idea of giving blood, to debunk the fear factor around the medical procedure. This, at least, is the hope in the not-to-distant future kids will have a positive approach to giving blood. Most kids are shocked when they learn that your chances of finding of a blood donor drastically reduce when they are mixed race. And this is what they learn when they return to the courier service to pick up their salary and their Team Margot wristband ! 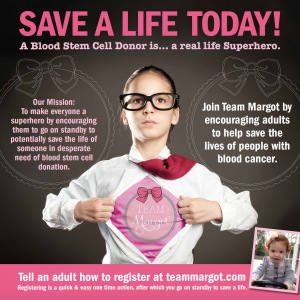 KidZania is all about jobs – and if being a superhero was a job, then Team Margot proudly advocates that this is how you can be one: by becoming a blood and stem cell donor. If parent’s have been meaning to sign up for a while and let it slide. If they get reminded or inspired by seeing their kids rush around with the medical courier’s blue flashing trolley, then amazing. 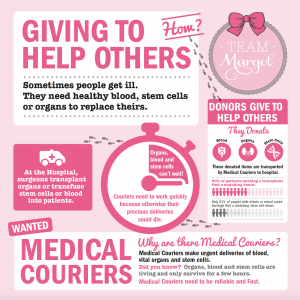 But most of all we hope that kids feel the urgency and the immense sense of achievement, which in the words of Team Margot, is about “giving to help others”. And that they recognise how helping someone will make you feel good and that they take this away with them when they go.